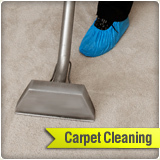 Carpet Cleaning San Diego is the number one carpet cleaning service in San Diego County. 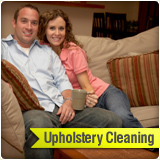 We can deal not only with standard carpet cleaning, but also provide various cleaning services for your upholstery, wood floors and even air ducts. We care about the environment and use only Eco-friendly products to insure the health of our clients and employees. 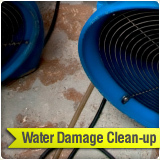 We have experts that have a lot of experience in dealing with products such as carpet protectors, various shampooing products, and dry foam techniques. The cleaning materials we use depend totally on the type and composition of the fibers, and the chemical or organic nature of the stain or dirt. Our workers have years of experience dealing and identifying almost every piece of dirt on the planet. All of this and more is checked and assessed by our carpet cleaner professional before he even brings his carpet cleaning products into your home or office. We believe in being fair and professional our services are not cheap. We do not buy cheap carpet cleaning products. We buy only the best, green care solutions, and the outcome is amazing time after time. Don't be fooled by carpet cleaning services who will offer you very low costs, the price of pro carpet cleaning is a combination of a few aspects and every one of them very important for a good result. 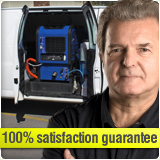 Call us at 619-573-4541, and we will match every reasonable carpet cleaning offer. Carpet Cleaning San Diego is not just about vacuuming the surface, but rather attacking the core of the dirt that has settled and penetrated to the bottom of the carpet. 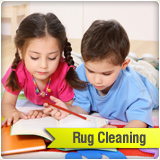 With our expert knowledge and experience, we at San Diego Carpet Cleaning can give you the best service and even some useful tips for carpet cleaning on your own. Call us now for a free estimate of the services you need from Carpet Cleaning San Diego and we will give you a 100% satisfaction guarantee. At the end of our visit, you can pay with any of a number of payment methods; we accept Visa, MasterCard, American Express and various Payment Options. We have cleaned thousands of offices and got tons of valuable feedback about our office carpet cleaning service, we are certain your office carpets can use some cleaning that will benefit you and your workers allowing everybody to breathe clean fresher air and appreciating their workspace a whole lot more. 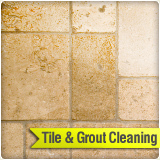 We are a licensed, bonded and insured cleaning service. 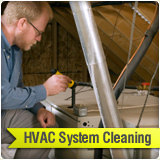 You can totally trust and rely on all of our experienced employees. We take full responsibly on any damage your carpets will suffer from any ill treatment our team might give them. 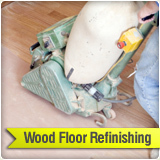 We make absolutely sure before finishing a job that the costumer is fully satisfied. We have a 100 % customer come back rate, every client that ever ordered our great service called us again after a while, or recommended us to his family and friends, that's why we offer special coupons for returning clients which you can observe in our coupon page. San Diego carpet cleaning is dedicated to keeping the environment in according to regulations of the city's own Municipal Code. Our greatest concern is to the community and prosperity of our clients and great city, that's why we train our employees in preserving the city by pointing out where to dispose of carpet cleaning waste and how to eliminate harmful factors in you commercial or residential area.